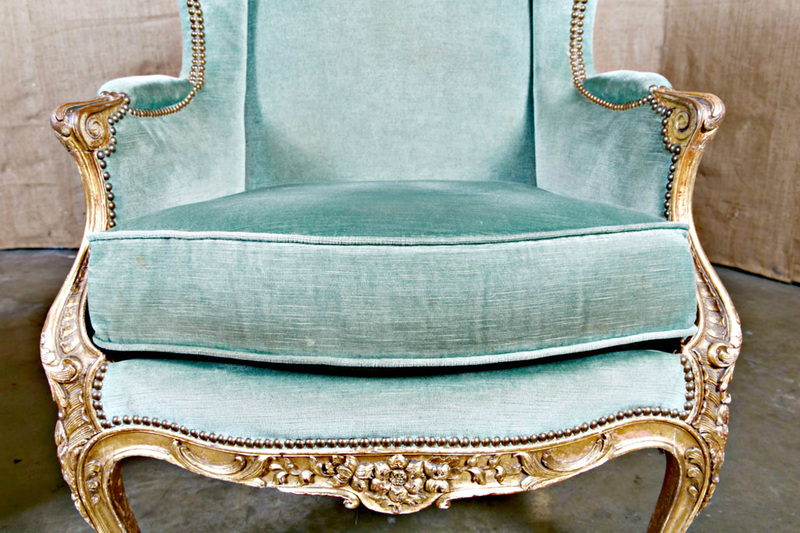 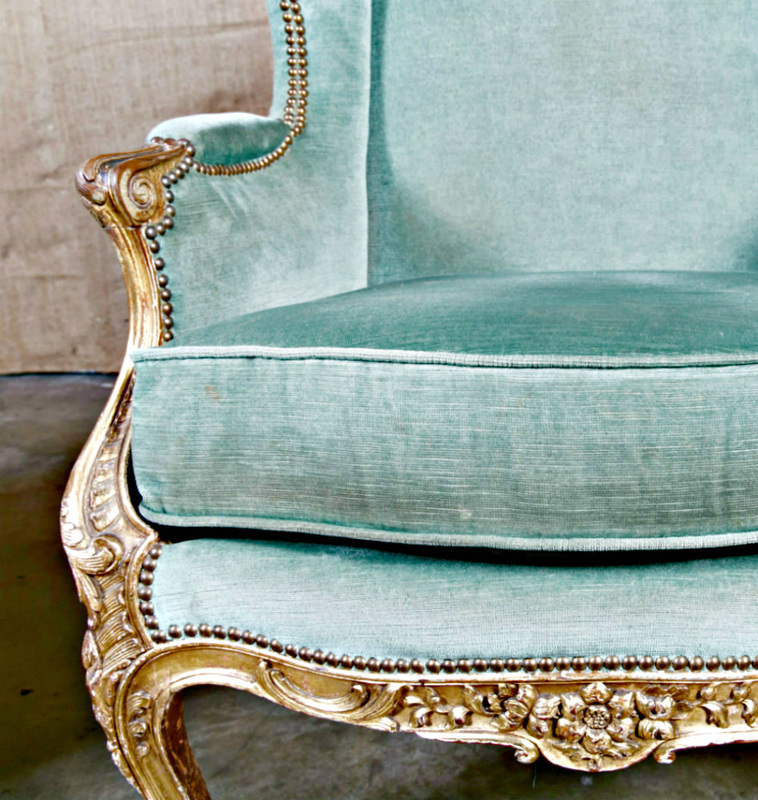 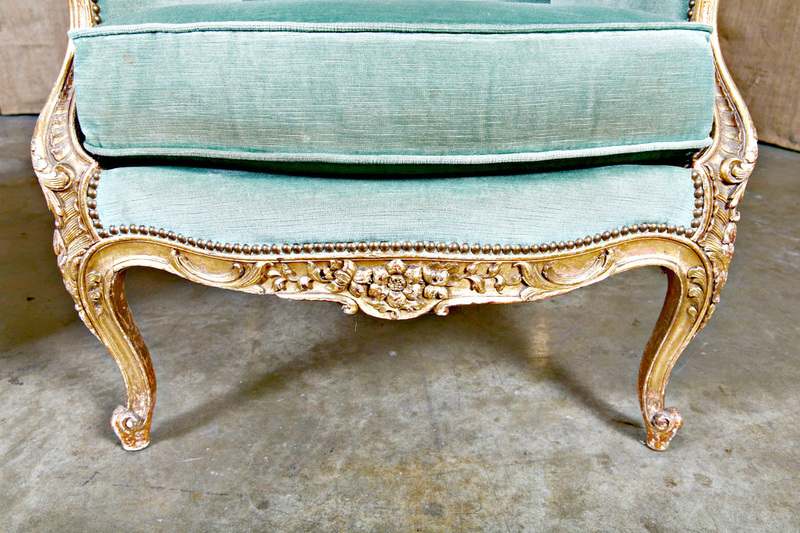 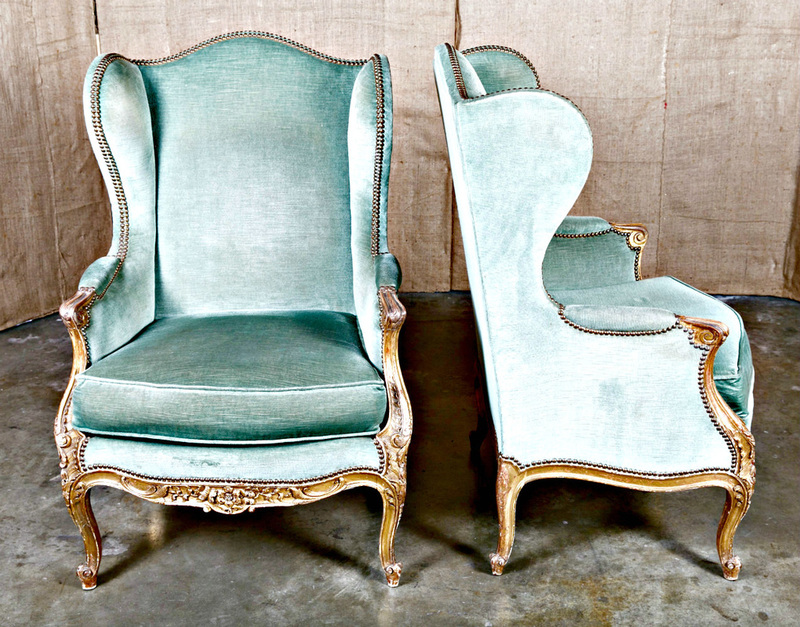 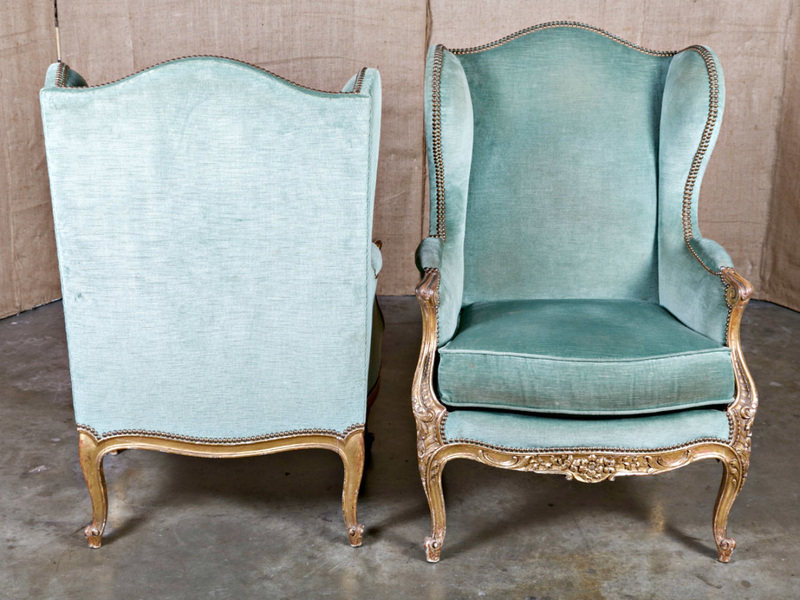 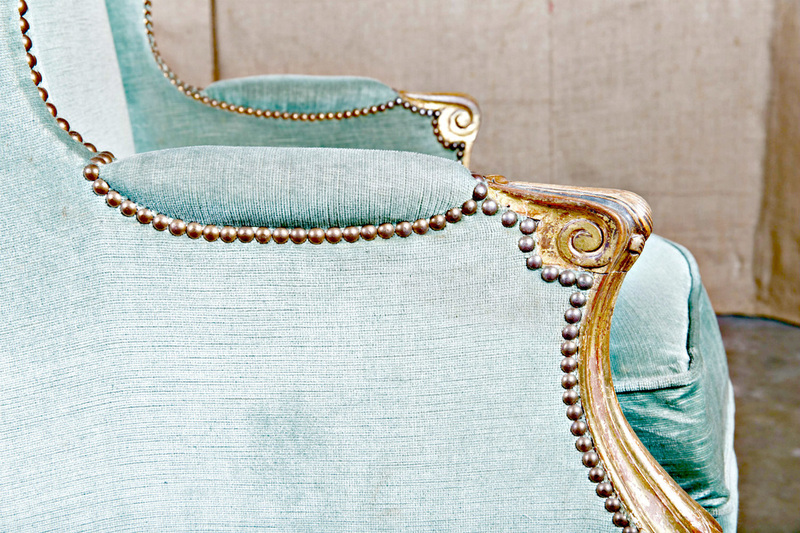 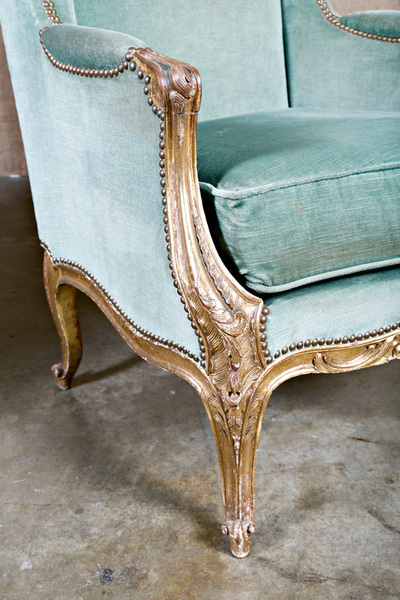 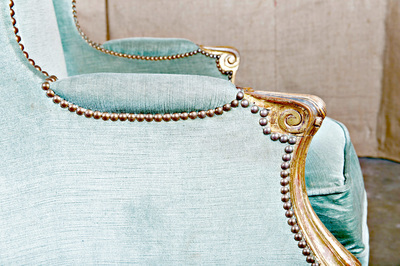 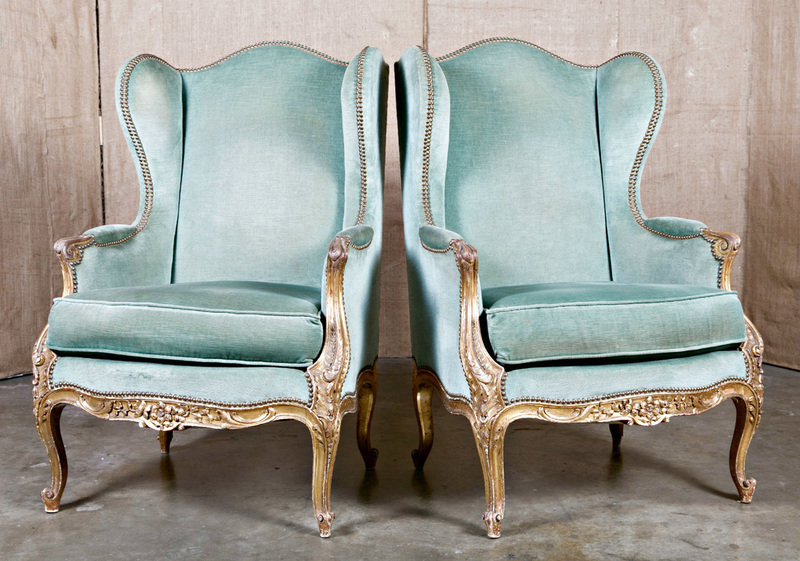 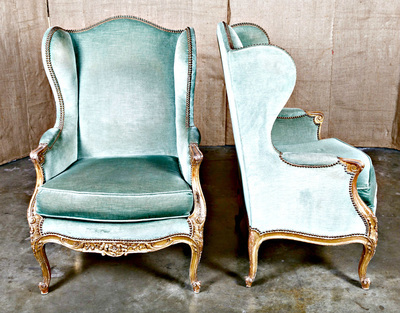 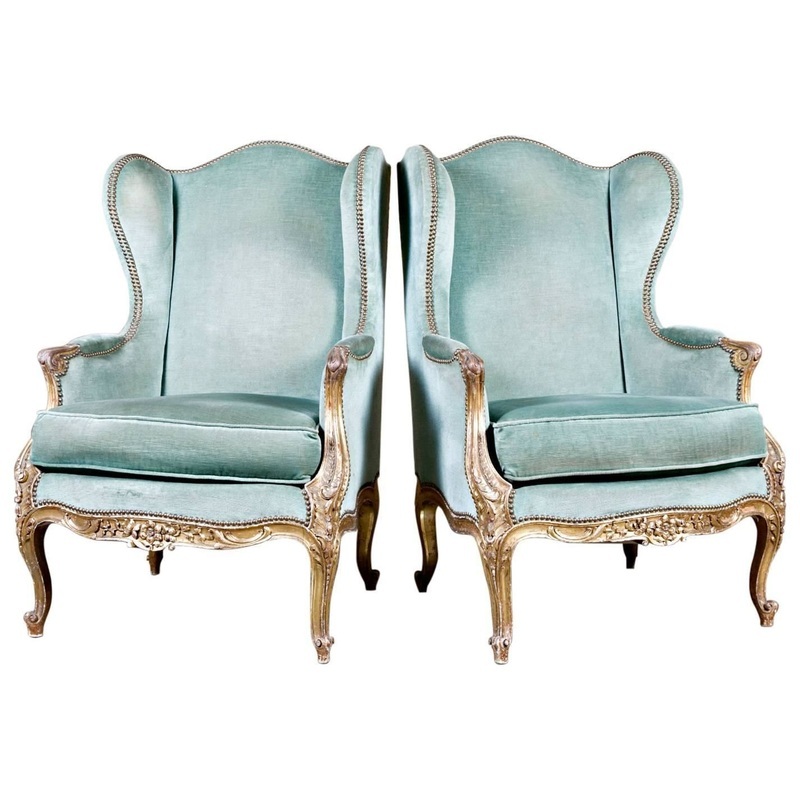 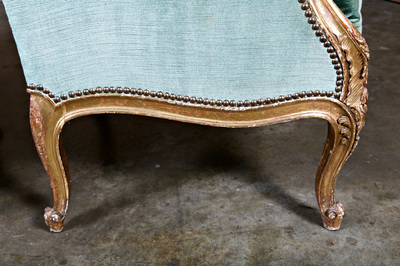 Pair of exceptional 19th century French Louis XV style carved giltwood bergère à oreilles (wingbacks), having chapeau de gendarme backrests with extending wings upholstered in velvet with brass nail head trim. 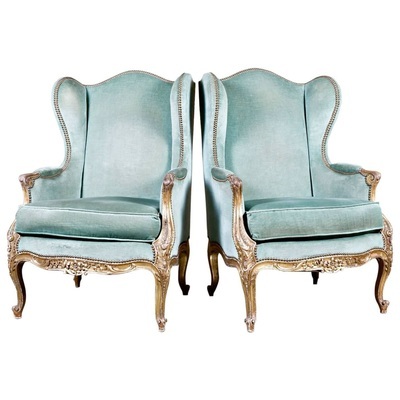 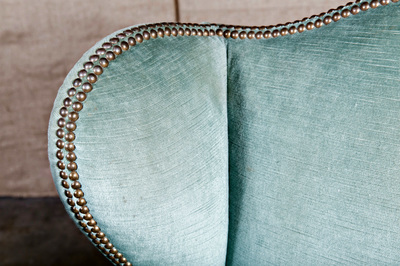 Down filled cushions flanked by acanthus carved armrests. 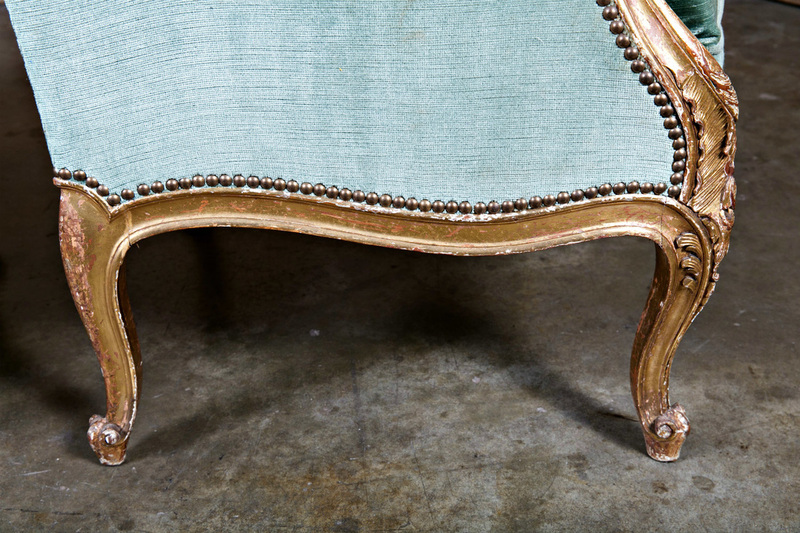 The impressive finely carved apron with floral motifs resting upon cabriole legs terminating in scrolled toes. All original gilt. 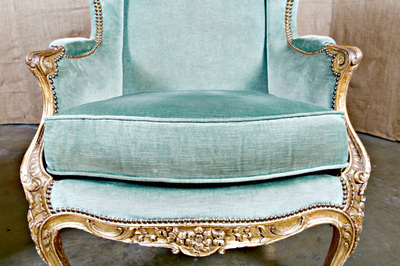 back h - 43" seat h - 21"